Grave : Plot III. Row A. Grave 7. 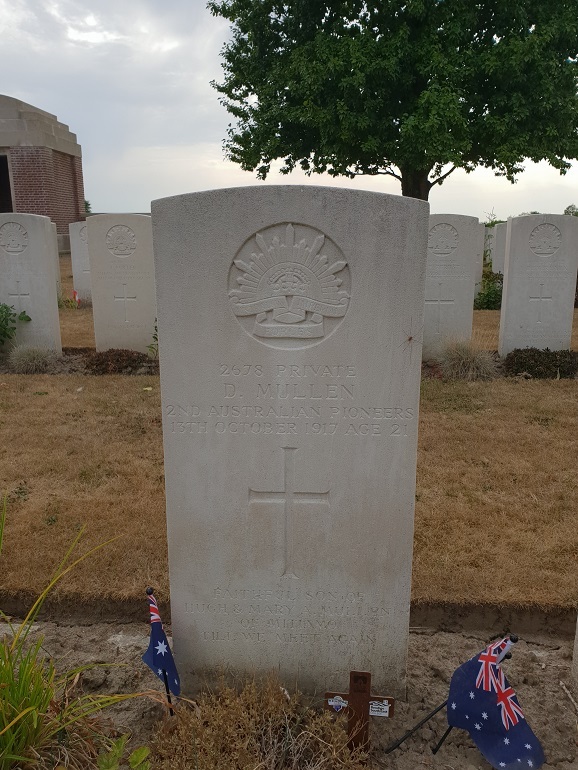 David Mullen was a son of Hugh and Mary Ann Mullen, of Terrick South, Victoria, Australia. He was a native of Mitiamo. Before his enlistment on 18 May 1916 he was a farmer. On 18 September 1918 he embarked from Melbourne aboard HMAT Karoo. David's brother Hugh James Mullen, died on 19 May 1915 following wounds received in action at Gallipoli.